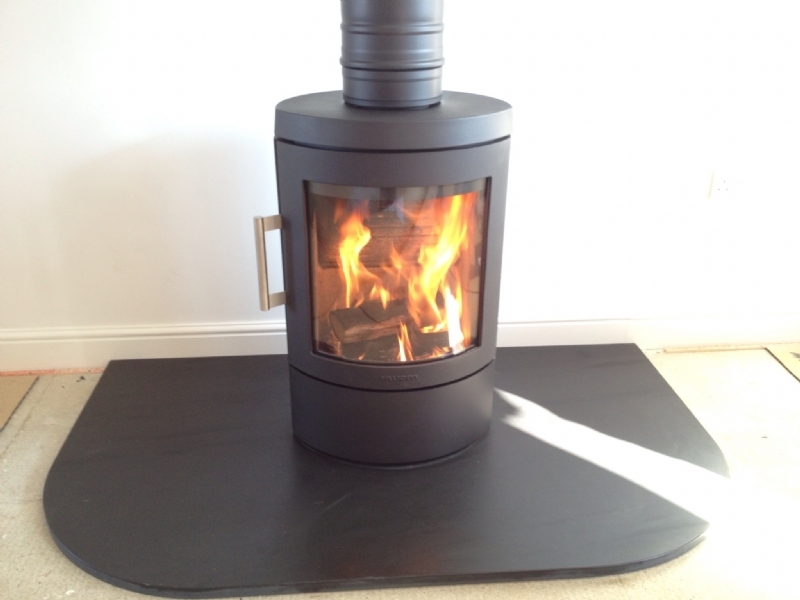 Hwam 3110 with honed slate hearth installation wood burning stove installation from Kernow Fires. 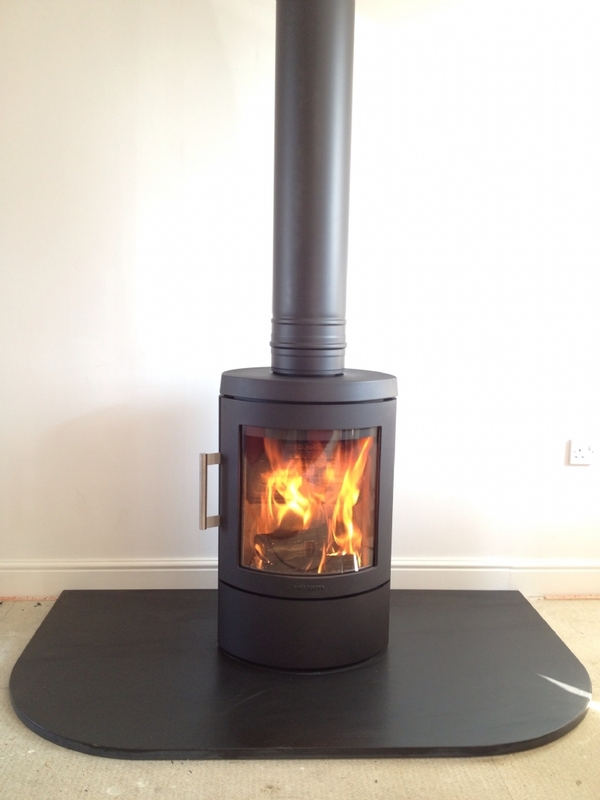 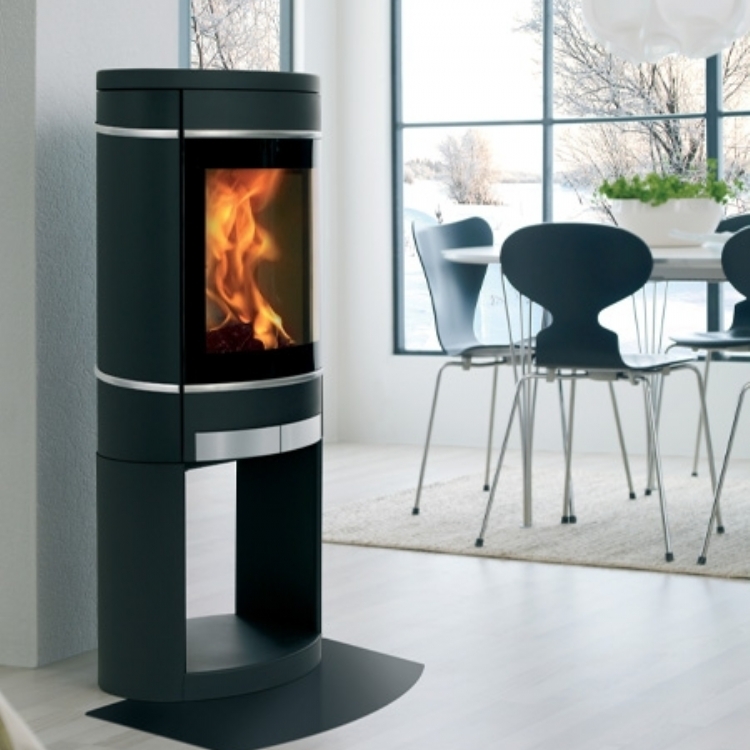 Customer Aspiration: Freestanding stove in a room with no fireplace/chimney. 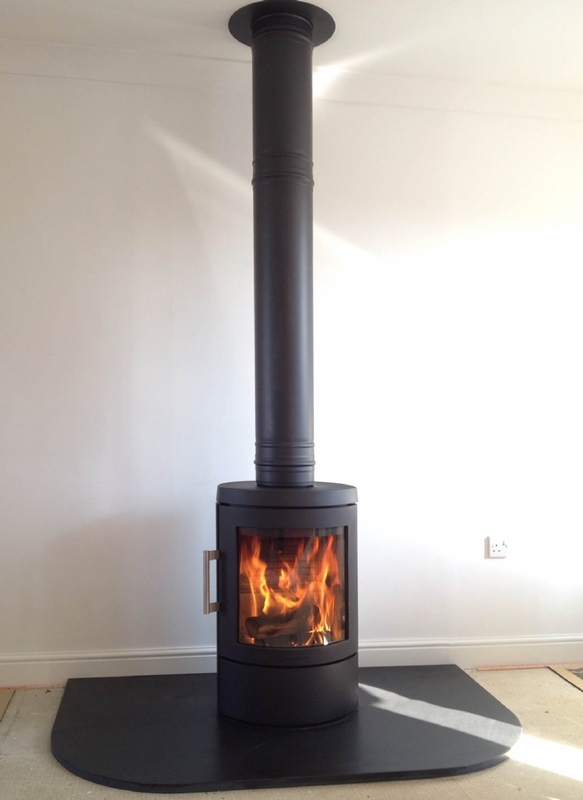 This is a nice neat installation and a good example of how you can still have a stove even if you have no fireplace. 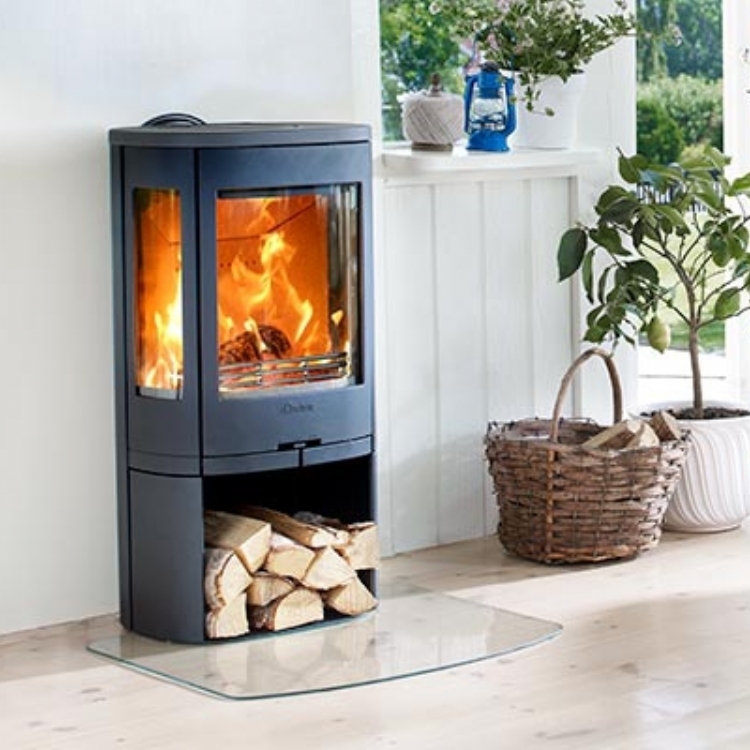 The twin wall flue all the way from the stove, the Hwam 3110, to the ceiling is a neat option rather than having a step in the flue. 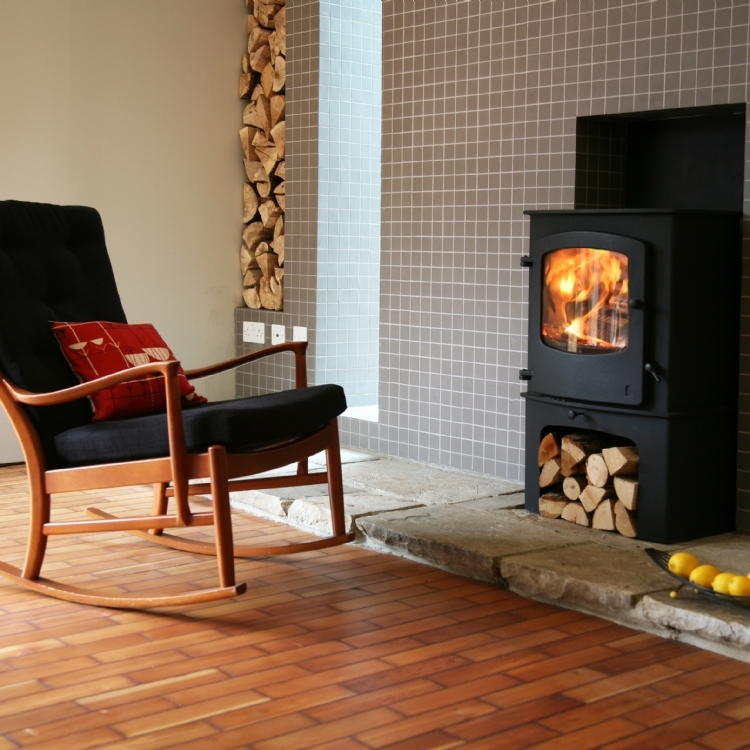 The D shaped hearth complements the curves of the stove and leave plenty of space for logs and accessories.